Interested in keeping up with the latest catheters available on the market? 180 Medical is always ready to share the scoop on the newest products with you, and today, we’d like to introduce you to Cure’s new hydrophilic catheter options in male length. What are the key features of Cure Hydrophilic Catheters? The new Cure hydrophilic catheter has a coating that, upon activation by the included water packet, becomes super-slippery and smooth for an easy, comfortable catheterization process. Since the special coating is bonded directly to the catheter, the lubricant will not slough off from the tube as it enters your urethra, maintaining a smooth friction-free catheterization experience from start to finish. How do I use Hydrophilic Catheters? For information regarding how to self-catheterize, feel free to call one of our trained specialists so we can walk you through that process. 180 Medical also has one-of-a-kind catheterization instruction materials we can send to you with your order, including a step-by-step DVD and printed color brochures. Is this product available in my size and required type? Do you require a coudé insertion tip? 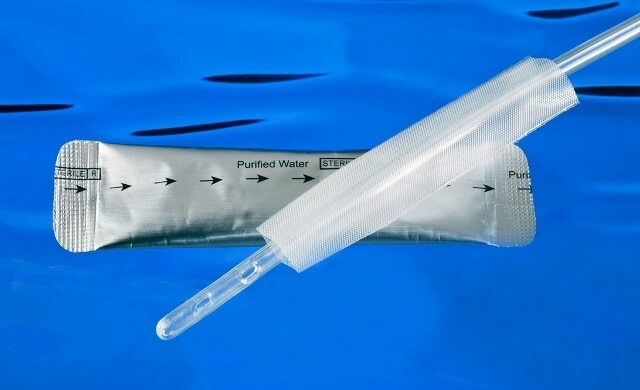 Cure Hydrophilic Coudé Catheters will be available soon! Which Cure products does 180 Medical carry? 180 Medical proudly carries Cure’s entire line of intermittent catheters, including closed systems, hydrophilic catheters, and straight catheters. How can I find the catheter that’s right for me? Just contact 180 Medical by filling out our online inquiry form, connect to us via Live Chat, or give us a call at 1-877-688-2729 to speak to one of our highly trained, friendly specialists. We’ll be glad to help find the right catheter for you, and we can verify your insurance to determine if and how these products are covered on your policy. Learn more about one of the newest hydrophilic catheter products on the market, the GentleCath Glide – available for both men and women. Seeking a gentle, comfortable catheter option? Take a look at the new GentleCath Hydrophilic Catheters!